Baen, 2018-05-01. Leather Bound. Good. 2018-05-01. New. Ships with Tracking Number! INTERNATIONAL WORLDWIDE Shipping available. Buy with confidence, excellent customer service! 2018-05-01. Good. Ships with Tracking Number! INTERNATIONAL WORLDWIDE Shipping available. May not contain Access Codes or Supplements. May be ex-library. Shipping & Handling by region. Buy with confidence, excellent customer service! 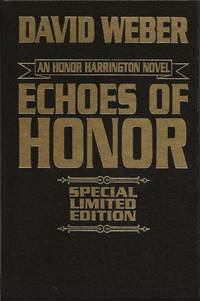 SIGNED first printing of this edition. Like new. 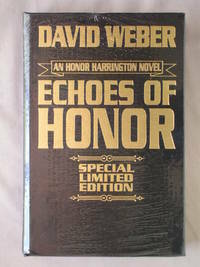 Signed by David Weber on special signature page. Black leather bound limited edition, with gold print on front and spine, and gold image of winged lion on back. Special black Baen end papers. 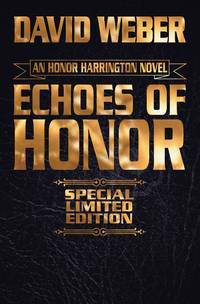 Color frontispiece reproduces first edition cover art. Baen hard cover leather bound limited edition, no dust jacket as issued, first printing Jan. 2018 (stated), complete number line. ISBN: 9781481483247, 684 pages, cover art by David B. Mattingly. 8vo (9.5" x 6.25") Plastic wrap removed to get information. Ships with signature confirmation.